Posted on November 14, 2015 by Michelle M.
Two years ago, today, Emmy joined the flock. Emmy in November, 2013. Emmy in November, 2014. Emmy today. Emmy has come such a long way since we first brought her home. Last year at this time she was finally stepping up – but would hop off as soon as possible. Now she’s a pro at perching on our fingers. She’s proof positive that patience pays off. Emmy is still a bit of a homebody. 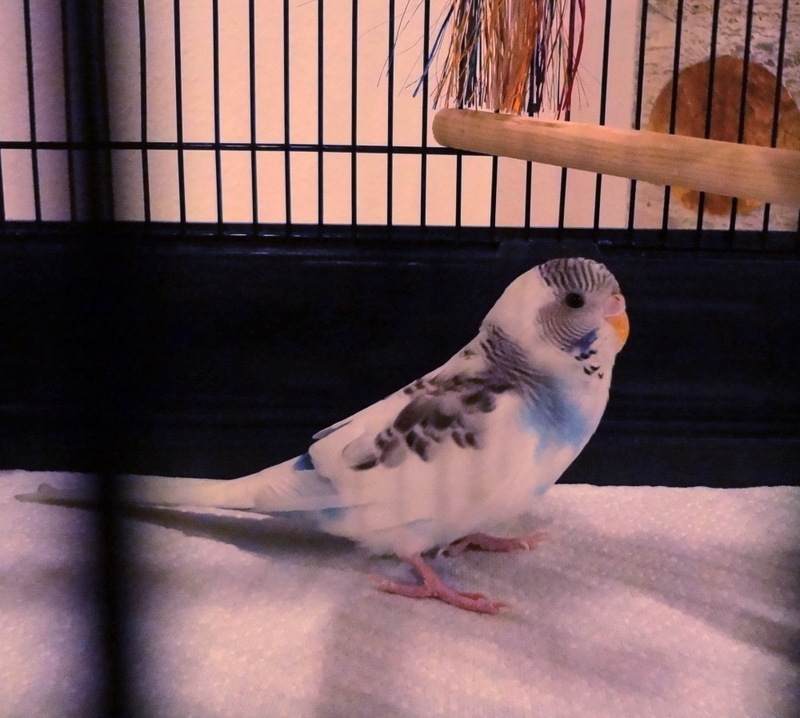 Sometimes we have to take her out of the cage, so that she will fly around and play with the budgies. She seems to prefer coming out in the evenings. Emmy loves to take baths. 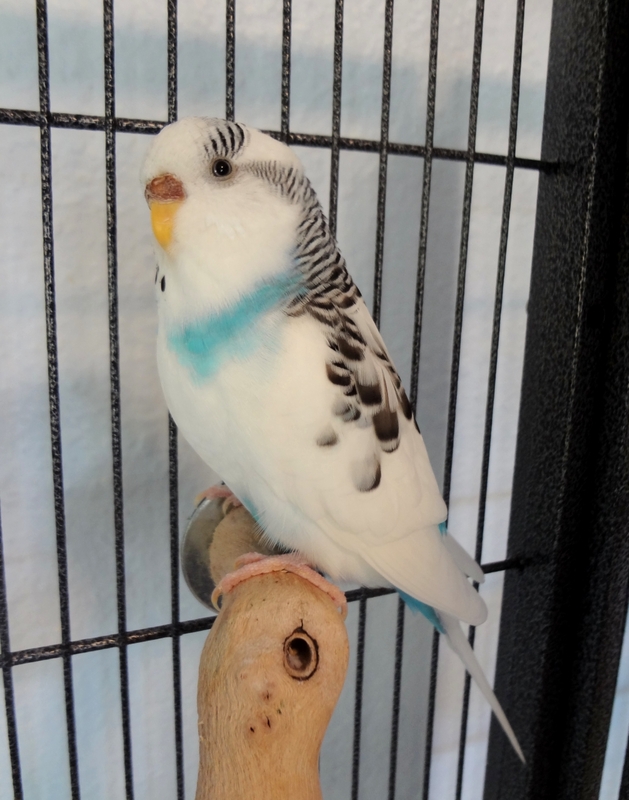 And she’s become a very curious budgie. She has started investigating the objects in the room, and has even started perching on our shoulders. 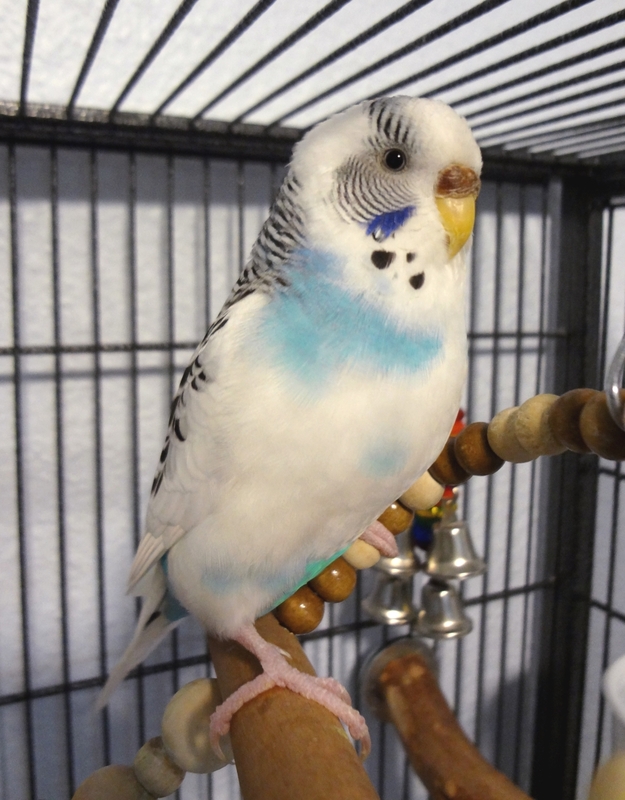 She and Ozzie are a cute couple – if Ozzie is out of the cage, she will chirp loudly until he comes back to her. While she and Ozzie are bonded, she doesn’t mind sharing him with Sunny. Emmy is such a sweet little bird, I just love seeing her little face every day. And kissing her little whipped cream belly! This entry was posted in Emmy by Michelle M.. Bookmark the permalink. Happy Anniversary Emmy! You’re a beautiful bird.